Urban renewal of the public spaces and the market square of the City center of Renens, working in tandem with residents. This project includes the renovation of the Market Square, the Rue du Midi (meeting place), Rue Neuve (pedestrian street), Rue de la Savonnerie (meeting place) and la Rue de la Mèbre (meeting place). 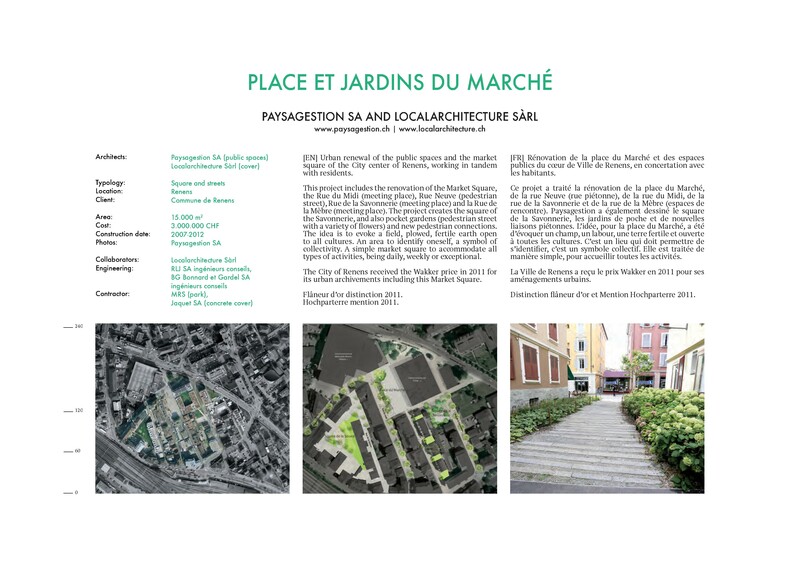 The project creates the square of the Savonnerie, and also pocket gardens (pedestrian street with a variety of flowers) and new pedestrian connections. The idea is to evoke a field, plowed, fertile earth open to all cultures. An area to identify oneself, a symbol of collectivity. A simple market square to accommodate all types of activities, being daily, weekly or exceptional. 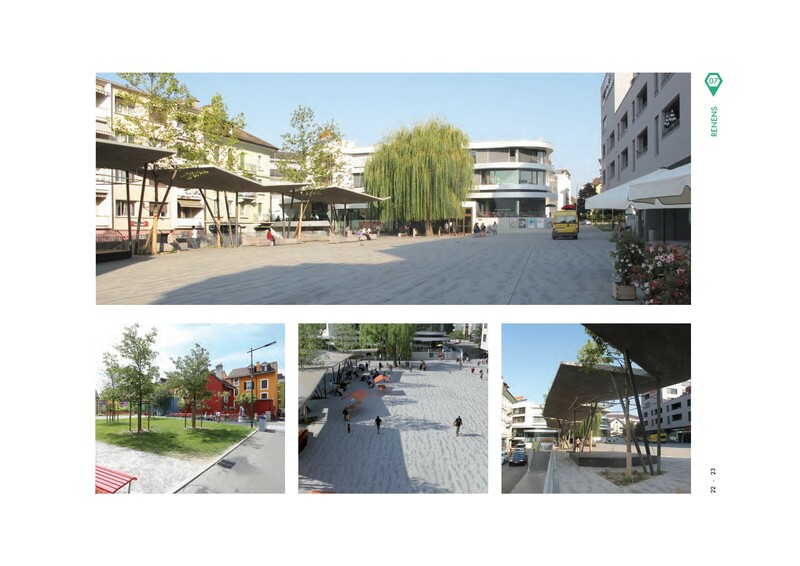 The City of Renens received the Wakker price in 2011 for its urban archivements including this Market Square. Flâneur d’or distinction 2011. Hochparterre mention 2011.